Meet Katy! So named because she has been a firework, right from the start! Katy was caught as a small kitten at a very unhappy barn...she was incredibly underweight, crawling with fleas, and had quite the upper respiratory infection. None of this stopped her from trying to eat the woman chasing her though! Its that fighting spirit that let her survive, and thrive! These days, Katy is done fighting, and loves to play. And play. And play. She is a go go go kind of girl! 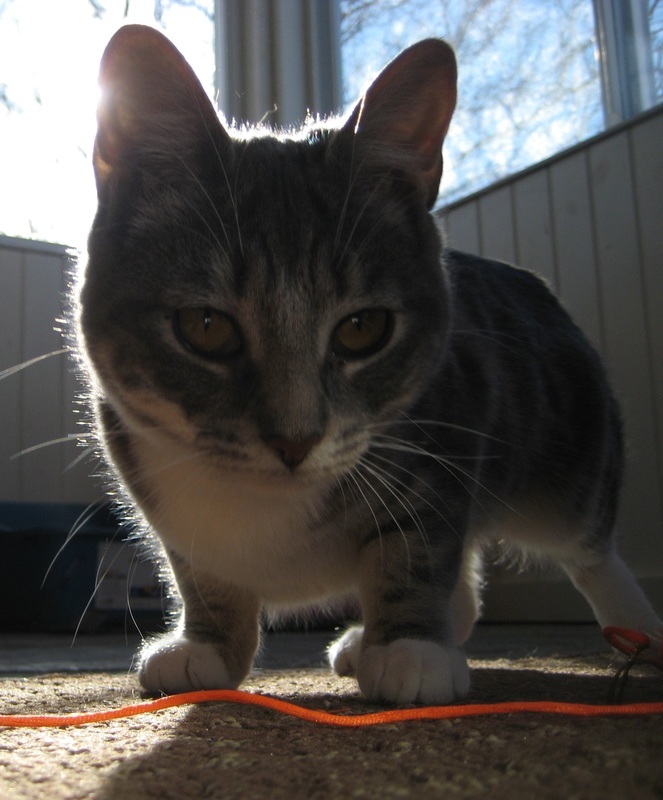 She loves to play tag with her foster siblings, and keeps herself well entertained with toys. Anything that is on a stick will keep her entertained as long as your attention span lasts. She likes to be queen of the scratching post, and sleeps on her foster mom's shoulder at night. She gets along well with other cats, and her canine foster brother. She also has the softest coat in town! If you're looking for a snuggly ball of energy, look no further. Katy has it all!